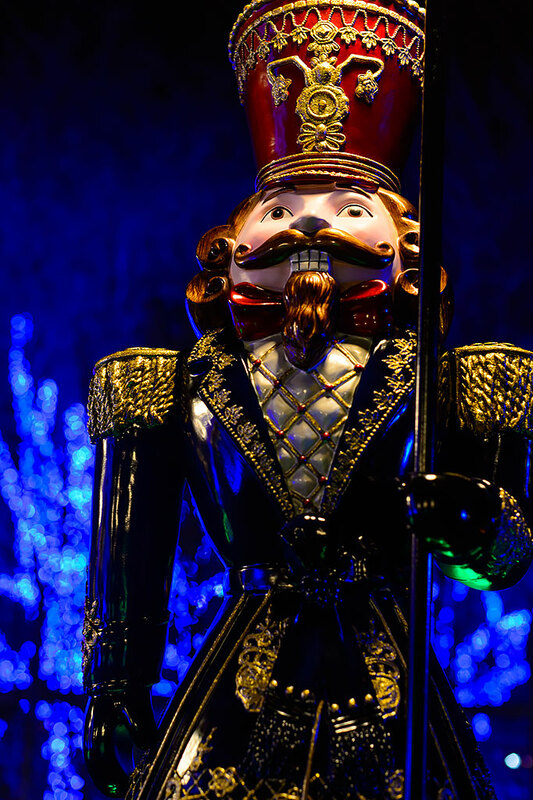 Toy soldiers stand guard at the entrance to the park's visitor center. This is where you can buy last minute tickets and visit the gift shop for assorted LED flashing goodies. The park recommends that you purchase your tickets online as they do limit how many visitors can enter at any one time. 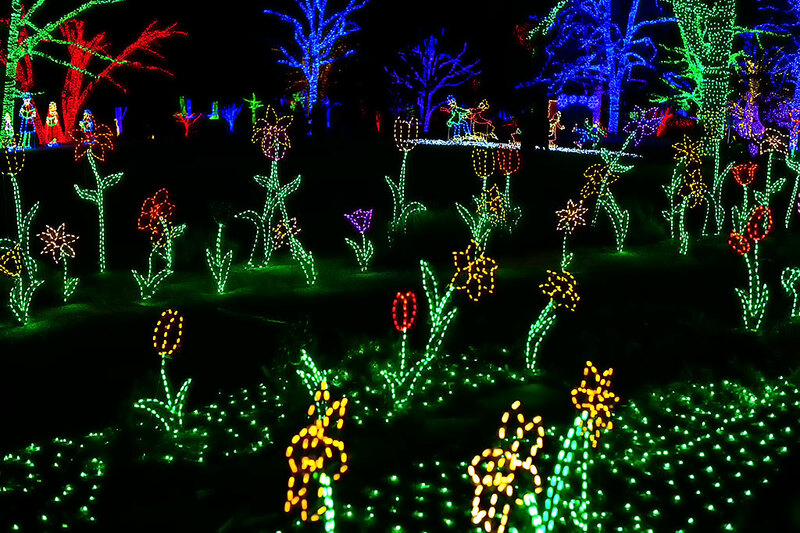 One of the first displays that you will see are the ever changing "Fountains of Light". 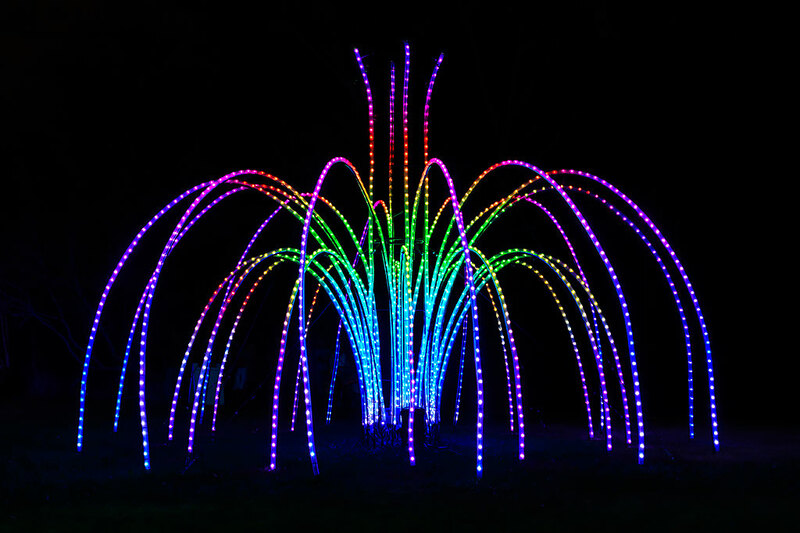 The fountains change colors and patterns in a brilliant display. Be sure to slow down and take the time to watch all the different patterns. Mesmerizing. 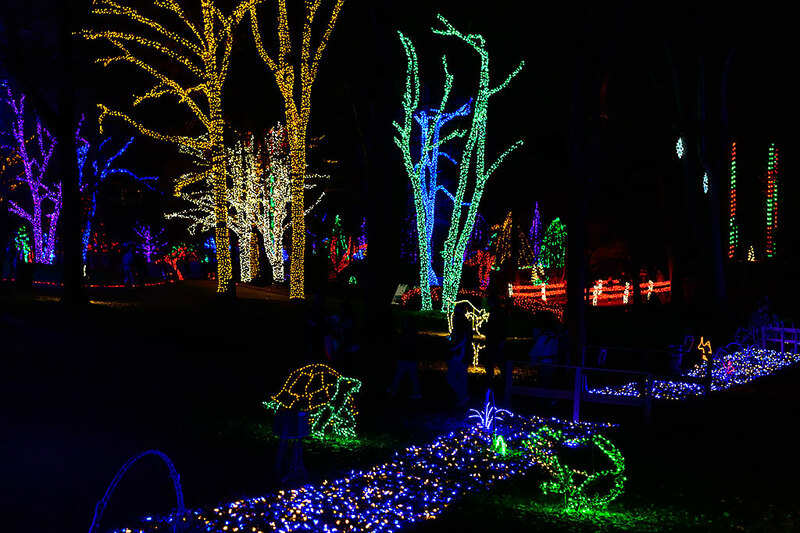 The park's staff works more than 3 months to install the 1/2 a million holiday lights. Trees are wrapped high and various animals, insects, birds, fish, and flowers can be found on the walking trail. They say there are 100 flowers included in the displays. Can you count them all? Watch out for the electric bees! You are encouraged to bring your camera to take photos of your loved ones. 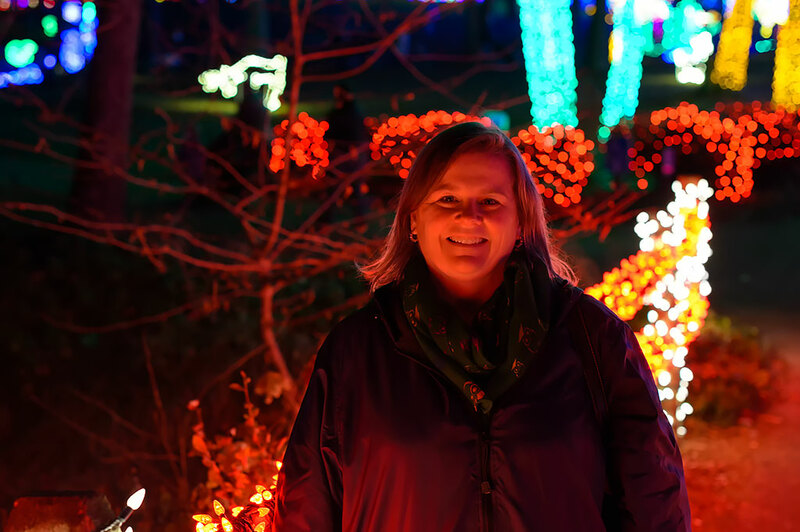 There are a number of benches along the trail with beautiful lights surrounding them were you can stop and snap a photo or two. 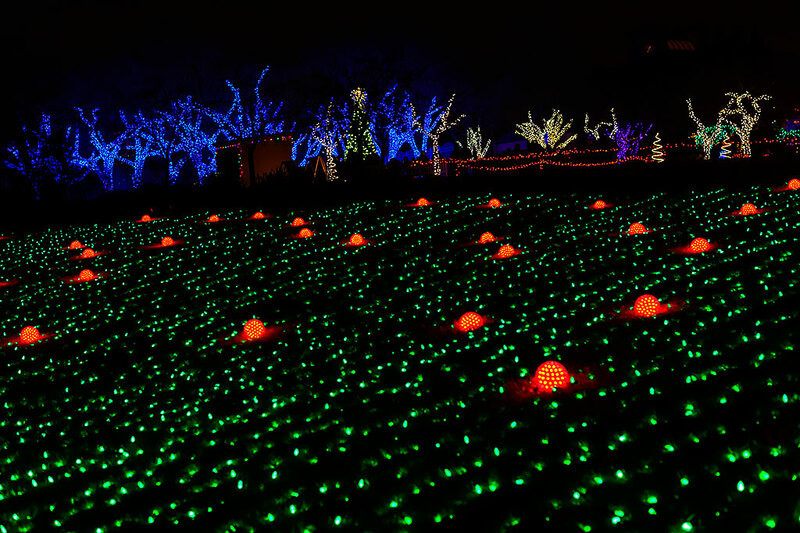 Towards the end of the walk, Holly Berry Hill fills the hillside with a green and red patterned light display. Some, me included, say that it looks more like a pumpkin patch. 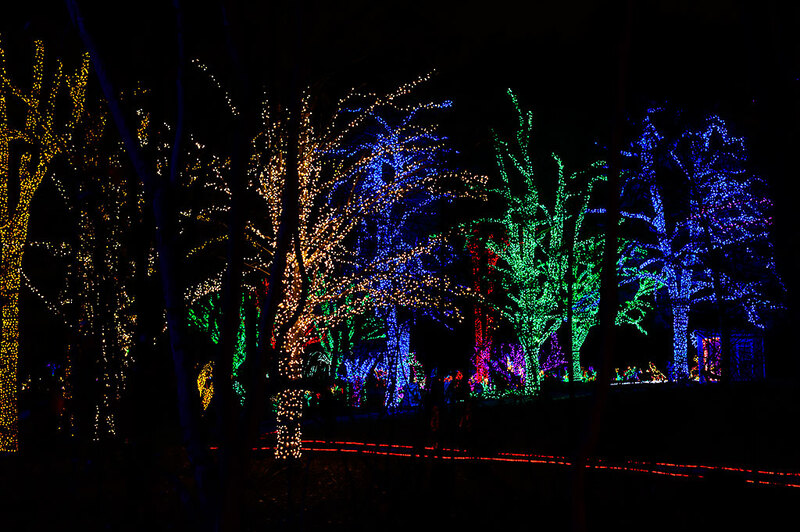 It takes less than 45 minutes to walk the trail including the short music synchronized show at the "Lakeside Lights". 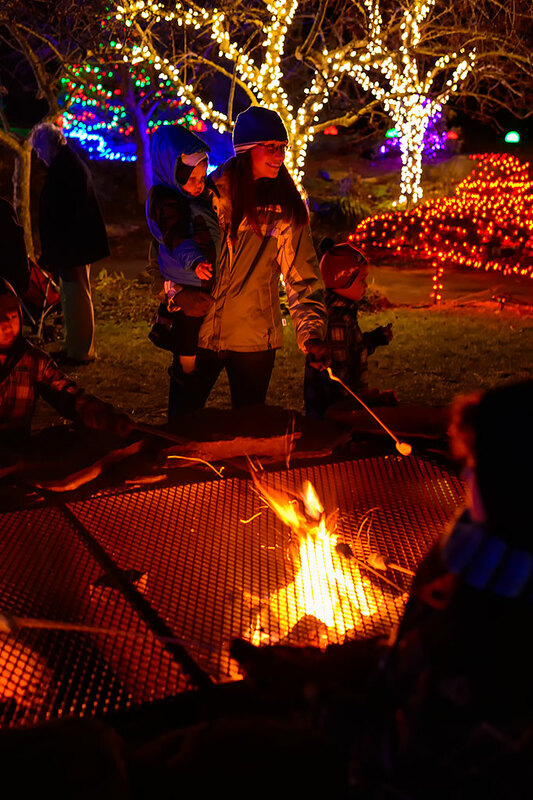 Be sure to leave enough time after your walk to roast some smores at the fire pit and drink some hot chocolate or cider. 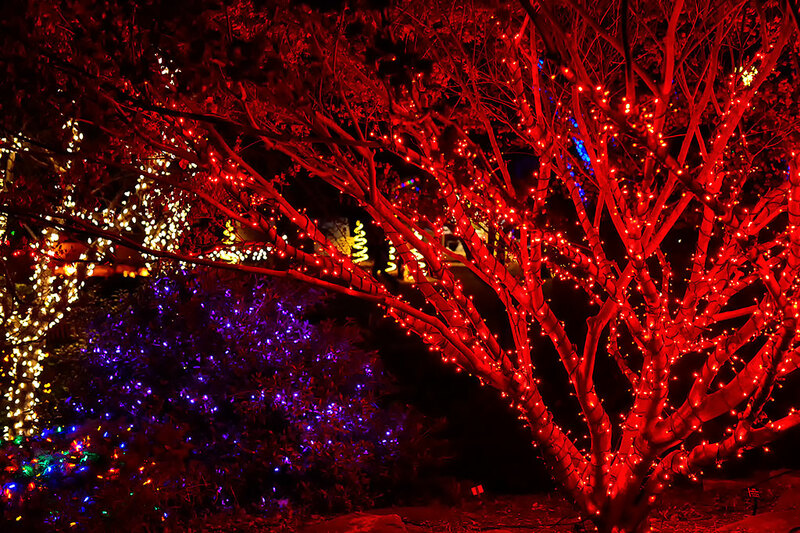 Meadowlark Botanical Gardens' Winter Walk of Lights should be on your list of holiday things to do.